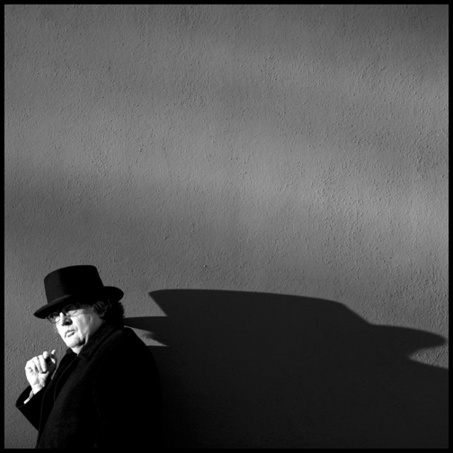 I thought I’d begin my Blog with a close reading from a small selection of Paul Muldoon’s poems. I consider him to be one of the major poets writing in English, and I’d like to share some thoughts on why his work has been so influential. Muldoon emerged, as did Seamus Heaney, Derek Mahon, Michael Longley, Eavan Boland, Ciaran Carson and others, from Belfast into international prominence. The Belfast renaissance of the late 60’s produced a potent list of poets whose work would inspire generations and, in Muldoon’s case, many imitators. The story goes that when Muldoon, aged 19, showed Heaney some poems and asked him what he could do to improve them, Heaney said “Nothing” and handed them back to him. This story has been cut back to its essence, of course, yet it reveals how much clout the young man had, and how it seemed inevitable that he would develop into a very fine poet. And while Michael Longley’s statement that this confluence of major poets was ‘a coincidence of talent’, it seems, as well, that being proactive, of being involved in workshops, discussing each others’ poems, exchanging ideas and publishing work in journals like The Honest Ulsterman, went a long way to establishing their individual, inimitable styles. Of these poets my favourites are Muldoon and Carson. I’d like to make a brief comment on Carson’s work before moving on to Muldoon. Carson’s long lines achieve a tricky balance between narrative and a sharp lyricism. His book ‘The Ballad of HMS Belfast’ – a selection from previous books – is a masterpiece in sustained, emotional involvement and observations of local history, music and violence. These lines, from Belfast Confetti, reveal a brilliant ear and eye. Four metaphors in quick succession, yet nothing feels overextended. This is very early Muldoon. He was, perhaps nineteen or twenty when he wrote many of the poems in New Weather. A close examination of why these lines work might begin with Muldoon’s ability to combine (and cleverly conceal) half-rhymes and a vowel-rich music, suggesting folklore and a playful, dark eroticism. The slant rhyme of ‘Been’ and ‘son’ in the first line contrast beautifully with the trochaic ‘Living’ and ‘center’ followed by two more half rhymes in ‘dead’ and ‘wood’. This sets up the potency of the poem’s overarching tone, and its something Muldoon has done, to great effect, throughout much of his poetry. So much happening in five lines, yet it’s so seamless we hear only the inner music. It’s a deft hand in control here. The last line begins with ‘That’ and ends with ‘Throat’. Muldoon could have written ‘The pair of warts…’ but he’d have missed an opportunity to make the line ring, almost imperceptively, from one end to the other. her hand is taken by a hand. Muldoon has spoken at length about his writing process. Rarely, (even with a long thematically-linked poem like Madoc…) does he have a fixed idea of where things are likely to go. This is not news. Many poets write this way, yet Muldoon raises the stakes even higher by approaching each line as though it were a singular entry, as though it might not press on into something longer. By crafting each sentence until he has the music, imagery, line-length-and-breaks down, he moves forward, in slow stages. Technique and craft, meticulous attention to detail before anything else. It’s a complete act of faith in one’s ability to be simultaneously spellbound by the moment yet still maintain some sense of control that makes the work of a poet like Muldoon so enduring. I sense deeply that many of the poems in Madoc… emerged this way, surfacing to find their place in the story. Here is Muldoon’s genius in full swing. His tendency to offer slight shifts in meaning or suggest alternatives to places, colours, sounds, sensations can be seen in ‘the amber, the orange-cap boletus / like a confession extorted from a birch…’ Using one colour and asserting its authority in the line would have been fine, but Muldoon can’t resist that playful twist, and we are rewarded. He could have used ‘fungus’ and made it work, but to then give us the simile of it being a confession / extorted from a birch creates an indelible, masterful line of poetry. For months I carried this book everywhere, rereading the poems, and finding new things to be amazed at every time. Muldoon’s inventiveness and variousness keep me coming back for more. For anyone interested in full-immersion in Muldoonville, I recommend a single-sitting reading of Incantata, his elegy for his friend the artist Mary Farl Powers from the book The Annals of Chile. The poem was written, he says, over a few days while grieving. It is one of my favourite poems, and one I love to read aloud, to my students. I won’t steal its thunder by discussing it here. Read it and be changed. 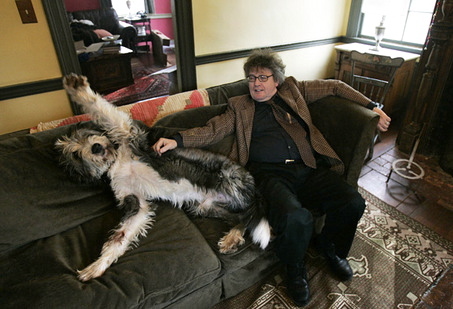 An excellent post about Irish poet Paul Muldoon by Anthony Lawrence. Thanks for this anthony. A great read and a new poet to explore is a nice way to start the morning.